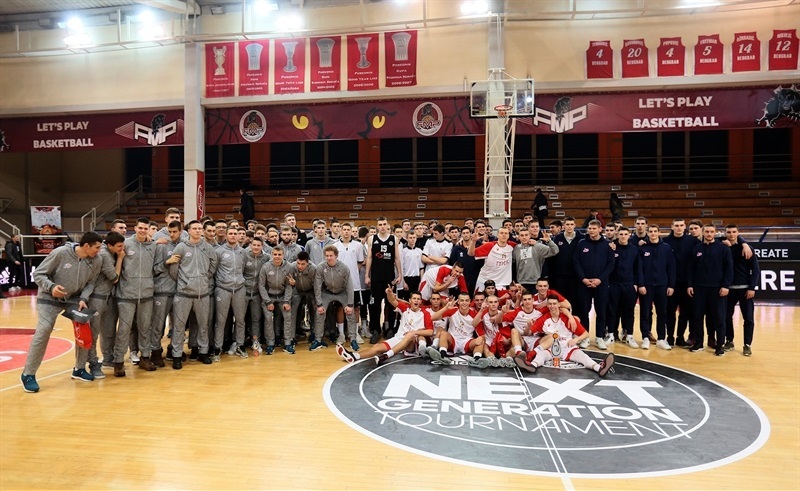 U18 Crvena Zvezda extended its reign over the Euroleague Basketball ADIDAS NEXT GENERATION TOURNAMENT Belgrade by beating city rival U18 Partizan NIS Belgrade 90-59 for its eighth straight title in the Serbian capital. 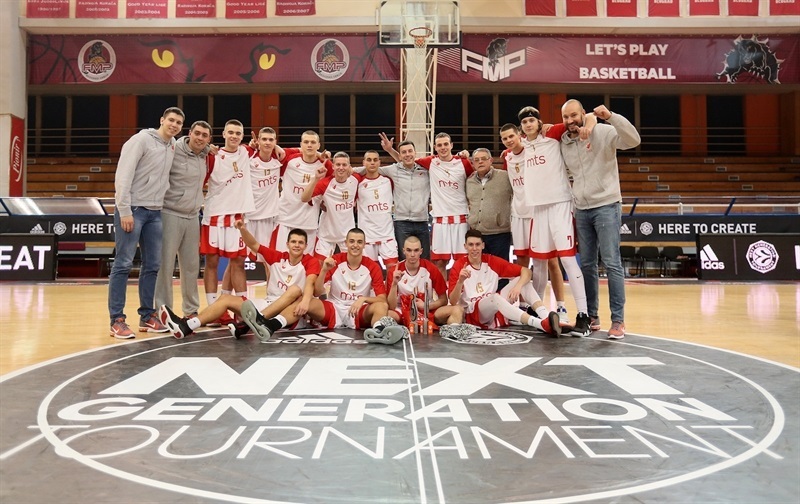 Zoran Paunovic led the 2014 U18 continental champion with 26 points, 8 rebounds, 4 assists 3 steals and 2 blocks while Bojan Tomasevic had 18 points and Veljko Radakovic added 12 points as Zvezda increased its winning streak in qualifying tournament games to 35, dating back to 2011, and booked its ticket to the ANGT Finals in May in Belgrade. 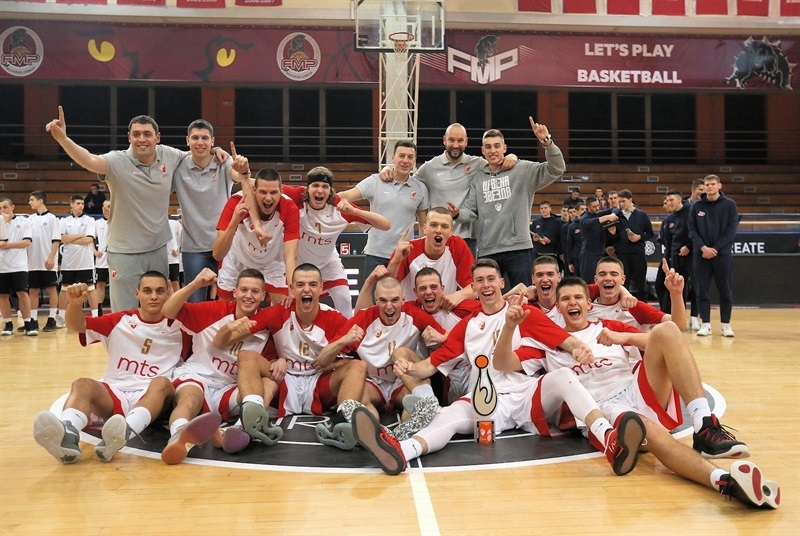 Zvezda, which held Partizan to 32.6 percent shooting from two-point range and 18.8% from threes, also beat Partizan for the third time in the Belgrade final following wins in 2012 and 2015. 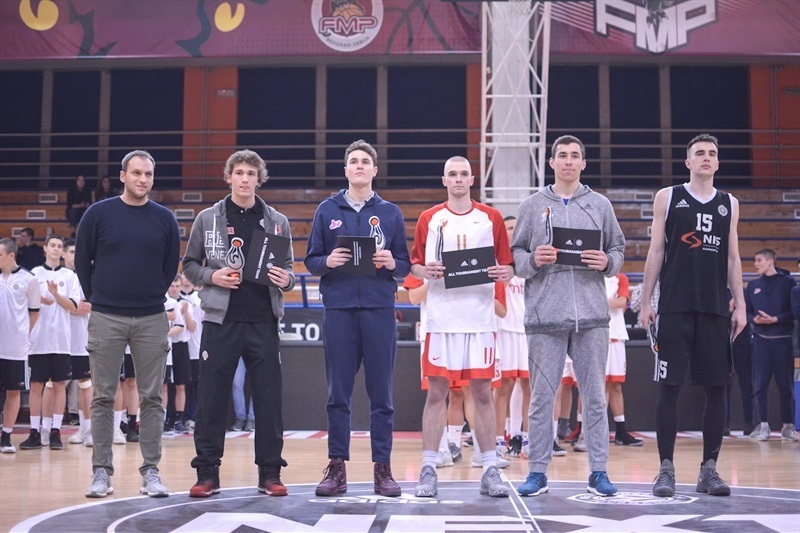 Partizan, which was hoping to qualify for the ANGT Finals for the first time, was paced by Marko Brekic with 14 points. Partizan star Marko Pecarski was held to just 10 points though he grabbed 11 rebounds. 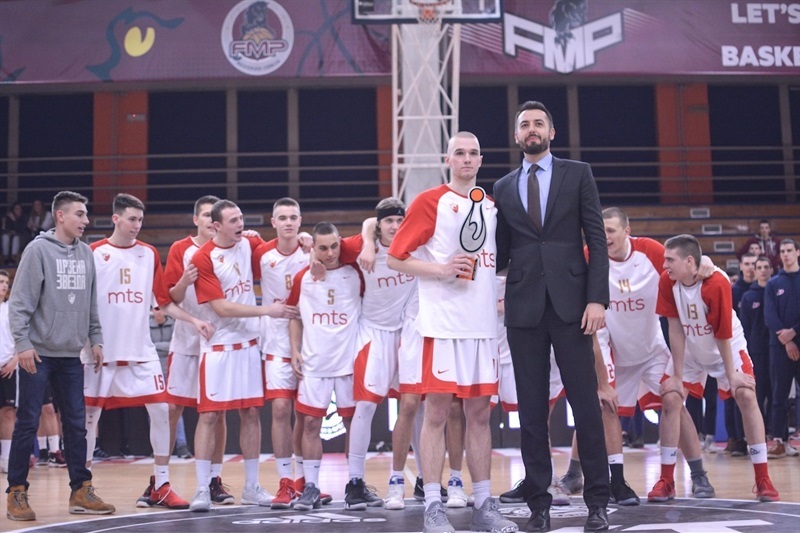 Little went right in the early going for Partizan, which converted just once on offense in its first 10 possessions and Zvezda big man Milos Cojbasic had 6 points as the reigning champs went up 12-4. On top of that, Partizan star Pecarski picked up 2 fouls in the first three minutes. 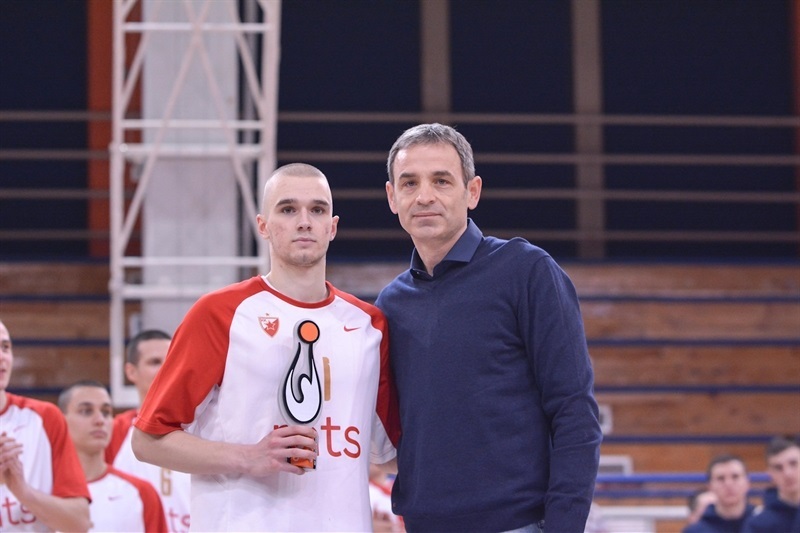 Pecarski ended up coming back in and scored a jumper to kickstart the Partizan offense, which rallied to within 15-13. Three points from Paunovic had Zvezda up 18-15 after 10 minutes. 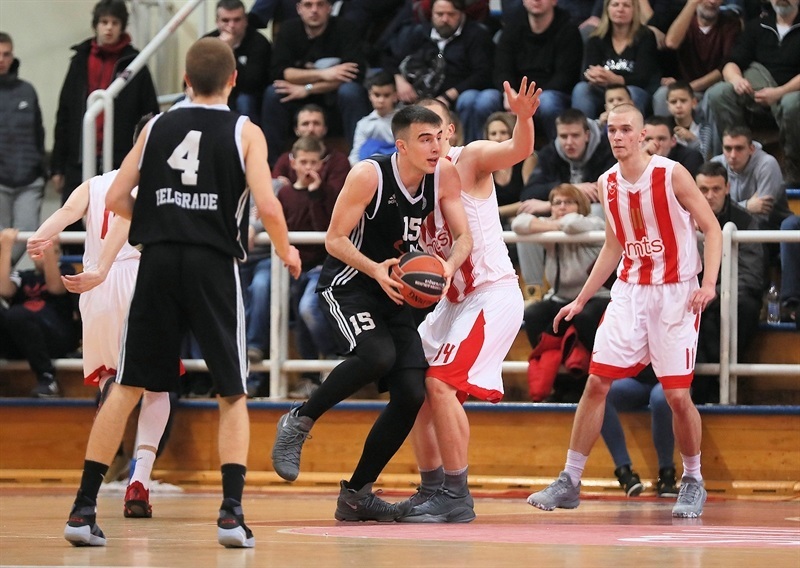 Partizan’s struggles continued in the second quarter when it was held three minutes and four possessions without a score as Zvezda raced ahead 26-15 before Zarko Popovic made free throws for Partizan’s first points in the quarter. After Paunovic’s three-point play increased the lead to 29-17, Pecarski hit for 5 points and Aleksandar Davitkov made 3 free throws to make it 33-27. 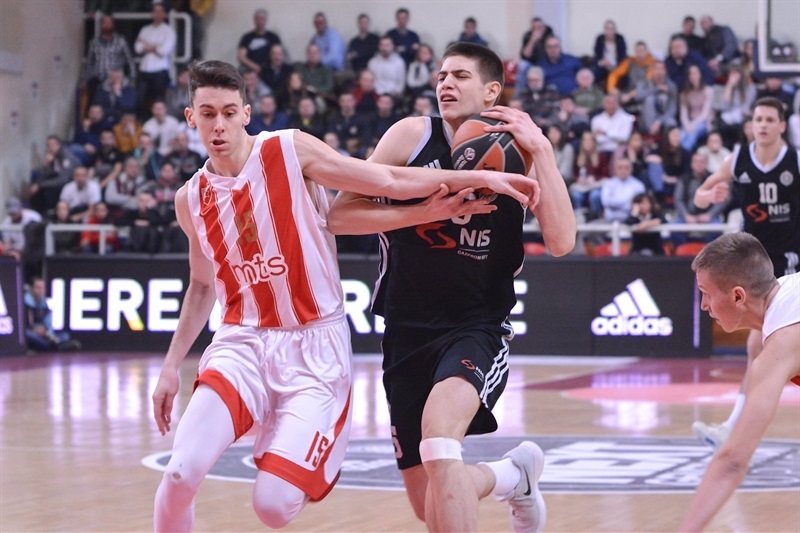 Zvezda held Partizan scoreless the final 2:36 minutes of the first half to lead 40-27 going into the break. Paunovic started the scoring in the second half with steal and dunk and teamed with Tomasevic to combine for 12 points in pushing the advantage to 54-33 midway through the third quarter. A Tomasevic three-point play helped Zvezda increase the advantage to 61-37 and the lead was 65-45 after 30 minutes. 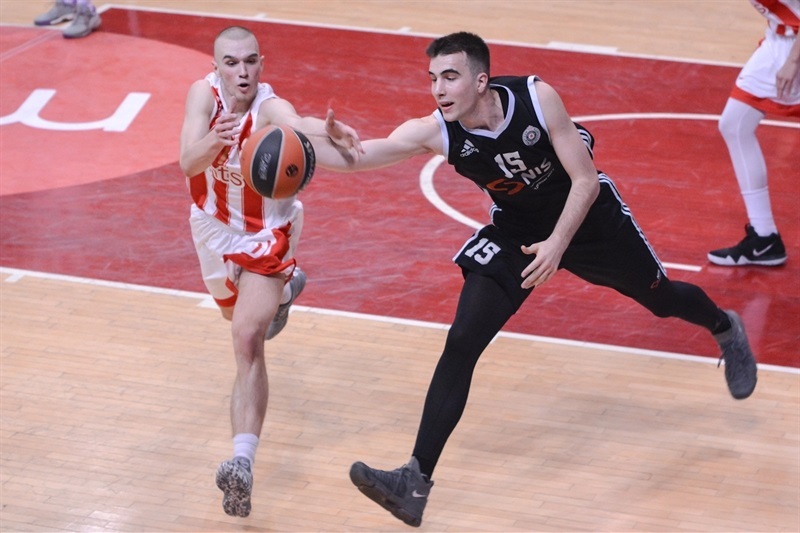 The Zvezda onslaught continued in the fourth quarter, when Partizan was held scoreless for the first 3:25 minutes as Zvezda scored 10 unanswered points to surge ahead 75-45. Partizan was able to pull within 23 points, but that was as close as it would get in the final frame as Zvezda cleared its bench.